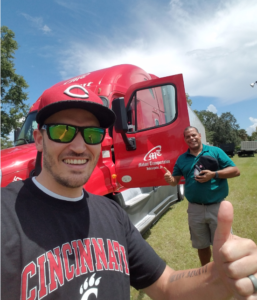 Chris White, Logistics Manager for the TX Branch, met up with one of our best drivers today after he delivered Sound Equipment for the Lynard Skynard Fairwell tour in Jacksonville!! It’s our strategic relationships that make Magellan a step above the competition!! Happy Carriers lead to Happy Customers which makes us Happy! !